If you are in the Mönchengladbach area, be sure to check this out. The festival will take place at the Europaschule Schwalmtal. 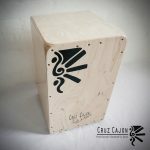 Set to consist of workshops, stalls and exhibitions, packed with cajons and innovative crazy drums, it surely sounds like fun! 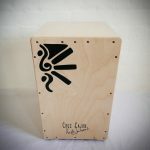 Hands on drums (one of our partners and the creators and makers of Cajudoo) will feature a beautiful stall with the cajudoo range displayed in the exhibition hall, be sure to go and try out these new innovative drums, and say hello to the guys! They’re super nice, down to earth ppl! 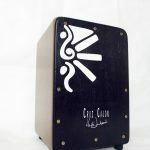 As an opening to my blog page, I have decided to add a vid of the latest, innovative (and VERY creative) hybrid Drum, Cajudoo, hand crafted by Hands on Drums in Germany! Let’s discuss what you think of these sweet instruments?! Seeing that they are BRAND SPANKING NEW, I would have to pioneer my way to how to play it and what sounds it can make (which are a bit way too many haha) so any ideas or suggestions are SUPER welcome!